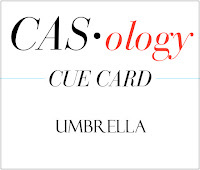 This week's CASology Cue Card is Umbrella! For my card, I used tiny stamps from Waffle Flower's Planner Add-on Weather 1 and a sentiment from RainCheck. 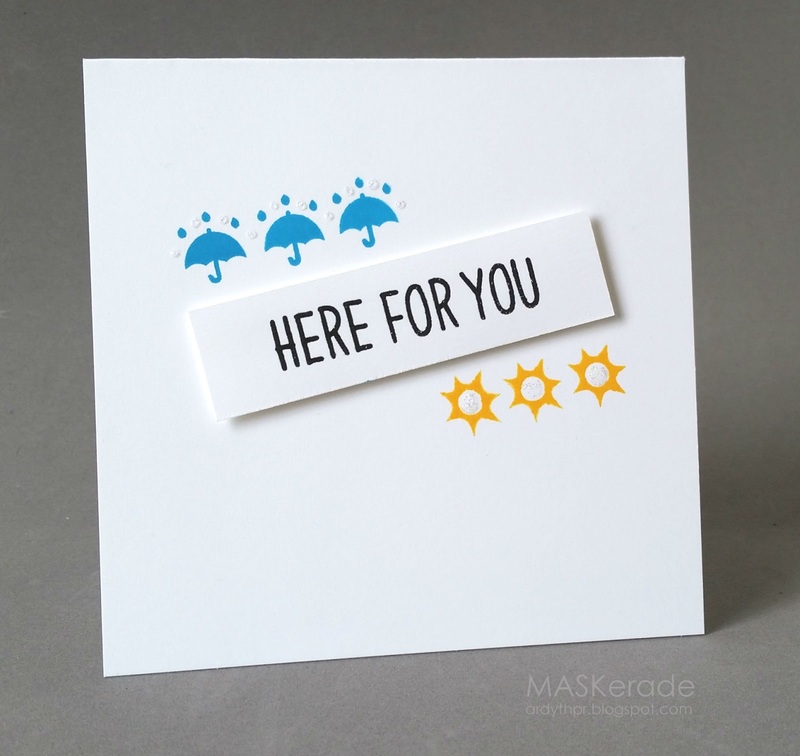 I wanted the icons to be an integral part of the sentiment, representing 'rain or shine'. I played around with various layouts and settled on this - the sentiment tilted and popped up and the 'rain' and 'shine' stamped so that you still read them left to right and top to bottom. These stamps are very little, so repeating them 3 times each really allowed me to increase the pops of colour and create some balance. I finished by adding some stickles for a little sparkle. And now it's your turn - we can't wait to see what you come up with this week! Come rain, or come shine! Just fabulous, Ardyth!!! You've gone right into my wheelhouse with this one! You always amaze me Ardyth! Lots of color and the perfect message! The sentiment on a slant really drew my eye and I spy some blingy raindrops! Too cute . Love the trio of images and all the fabulous white space. What a fun idea! The meaning is perfectly clear with a minimum of words. Nice! Hi Ardyth ~ Love the sweet simplicity of this card. Even without the kind sentiment, we would have known just what this card was about. Thanks for sharing! Perfect composition and execution on this CAGraphic! So clever! This is so very clever and eye catching. Love how you were able to get your point across with pictures. Rebus anyone? You do AMAZING things with little stamps!